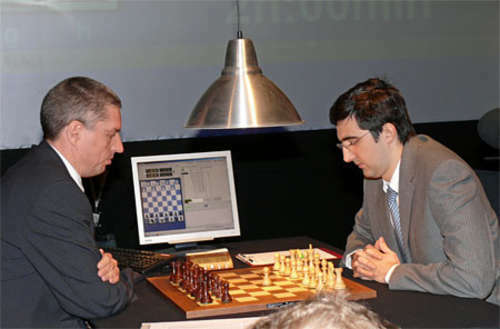 11.26.06 Eight million moves per second weren't quite enough for Deep Fritz to get an advantage over Vladimir Kramnik in Game 1 of their six-game match in Bonn, Germany. 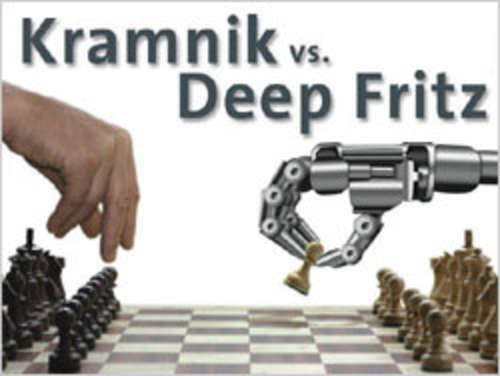 Using his beloved Catalan opening--the same opening he recently used to beat world number one ranked Veselin Topalov in a match--Kramnik kept the game under tight control while securing a minute positional advantage. 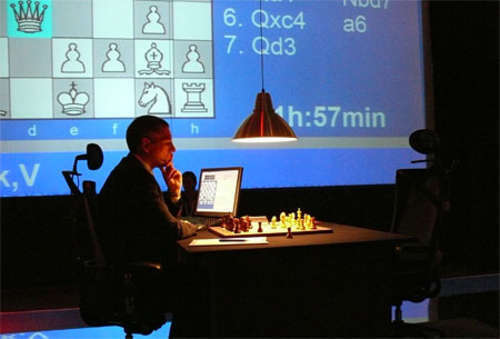 The game was agreed drawn after Kramnik's forty-seventh move. Watch Game 2 here via our LIVE Game Link. Replay Game 1 here. Click the Archive tab then you can use the controls at the bottom of the notation window to play, pause and advance the game move by move. World Champion Vladimir Kramnik held his own for a draw and even had the better of it in the opening of Game 1 vs Deep Fritz. 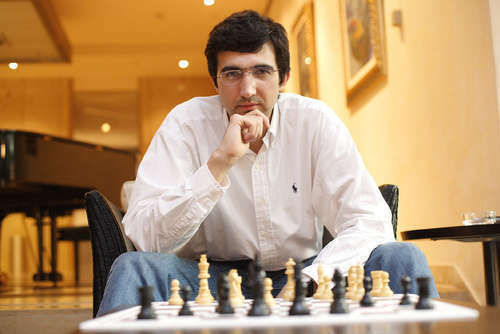 Kramnik plays 1.d4 and heads for a Catalan. 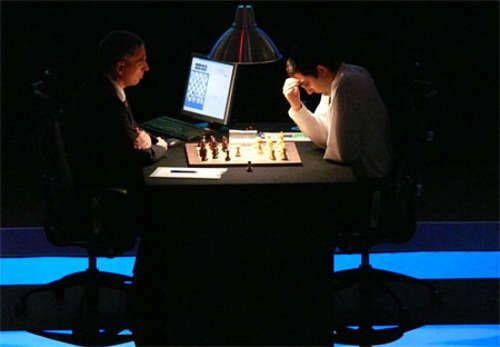 Matthias Feist (left) moved the pieces for the computer. After Kramnik's 7. Qd3, Deep Fritz was out of its opening book and went into a prolonged "think." Eight million moves per second! That's enough to give anyone a headache.